I have a new discovery to share with all of you! Yesterday I was messing around on Photoshop trying to find a specific color to match one I already had in a photo and found a way to make color palettes from photos I already have. It's so much fun! Now, if you already know this super fun technique, I apologize. I am known to be a little behind when it comes to technology and most things involving the computer. But if you'd want to learn how to do it, I have instructions below. 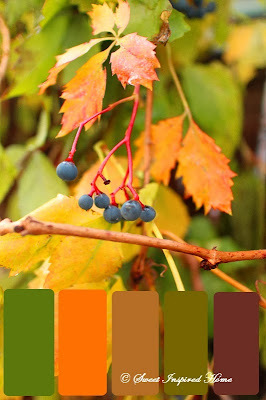 Here are some photos that I've taken and created color palettes for. Aren't they neat? It was so fun creating the palettes. I think having a color palette can be so useful for home decor. 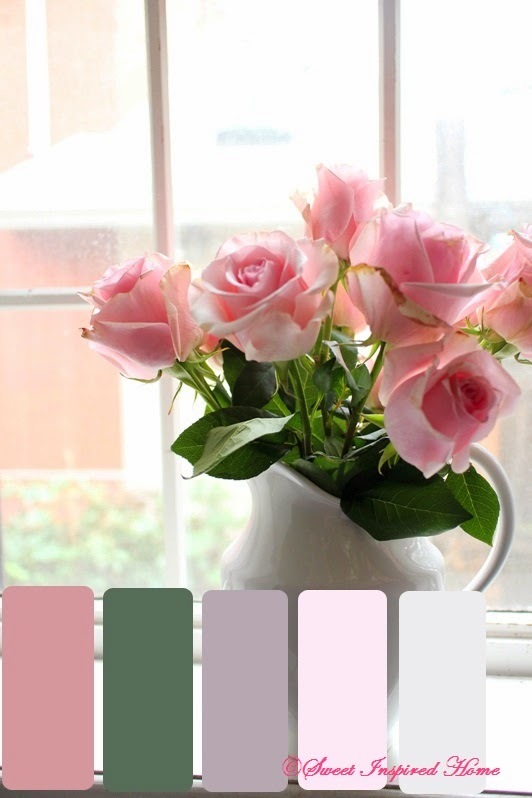 For instance, if you had trouble deciding what colors to add to a room, you could take a photo of the room and create a color palette from it. The rest of this post is instructions on how I did this so if you're not interested in reading a confusing list of instructions, feel free to bid me adieu until next time! 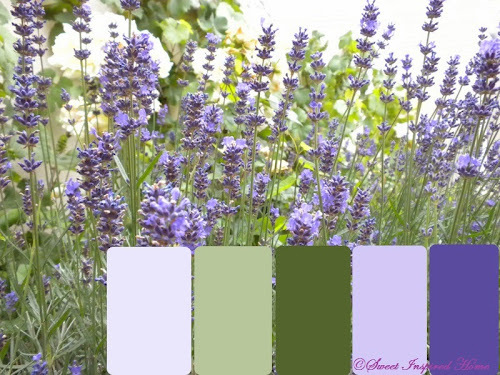 For my blog friends, if after reading the instructions, you still can't figure it out but have a photo you'd like to create a palette for, feel free to email it to me and I'll do it for you and send it back! Now, I am absolutely the last person you should ask about how to use Photoshop. Everything I ever do in Photoshop, I either ask Mr. H, find a YouTube tutorial or drive myself crazy trying to figure it out on my own which is how I discovered this. Usually after I figure out whatever it was I was trying to do, it leaves my brain so I never remember how to do anything. So this is as much for me as it is for you. I hope I don't leave out anything but if you find that I did, please let me know! I have Photoshop CS5 Extended so I'm not sure if the steps would be the same for other versions of Photoshop. Your photo will pop up with swatches of colors to the right of it. Mine defaults as a GIF file so I just leave it. 6) Find where you saved your new color table. You may have to change the Files of type section at the bottom to .ACT. Click on the file. 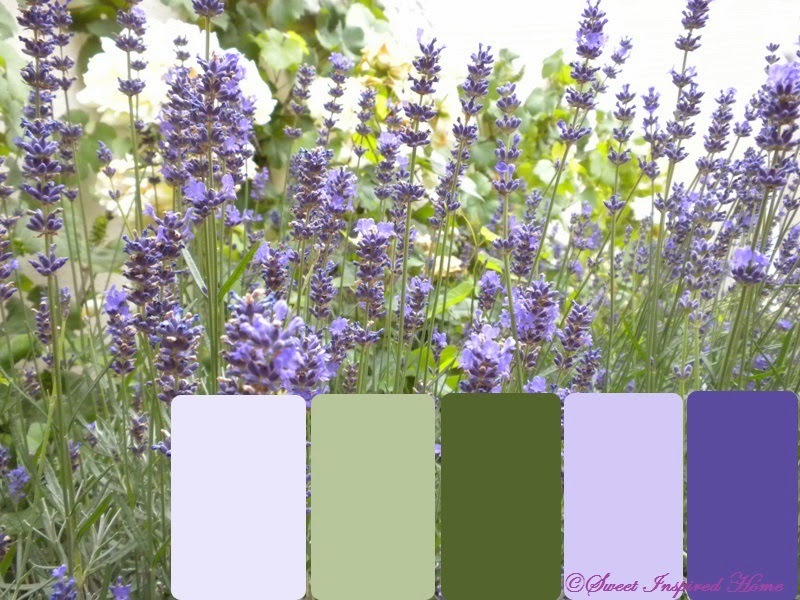 Now you're ready to start creating your palette! 12) If you chose Replace Swatches in step 5, remember to Reset Swatches when you are done or the next person using Photoshop will wonder what happened to the colors. Do this by going up to the Swatches tab and clicking on the drop down menu. Select Reset Swatches. It will ask you "Replace current color swatches with the default colors?" Click OK.
Oh I'm loving it. I'll have to try it. Very nice and such great instructions too! Thank you for sharing with us! Love the complementary colours to your pics, Khammany! Such a useful device and perfect for pairing accessories and even bigger ticket items, like furniture! Thanks for the little exhibit! I know I will be trying this! This is certainly a wonderful tool to use! Wow, this is the coolest. I have such a hard time with picking out colors. I just visited your bathroom post again, I love the blue color you have in there. I'm liking the colors in the last photo of the purple flowers... very pretty. I think this is really cool and very useful! I bought photoshop last Christmas for my dad, thinking I could just pop over to his house when I needed to use it for touching up the family christmas photo card. But then he moved! Hope you are having a wonderful day! What a wonderful tutorial and one I will be trying!! Love this, Khammany! Always such beautiful inspiration from nature! Have a great weekend! Beautiful pictures. Thanks for always visiting me and leaving such lovely comments. Thanks for sharing this...such a neat tool! You gave a great tutorial as well. Have a wonderful weekend! I love the fig picture and palette! 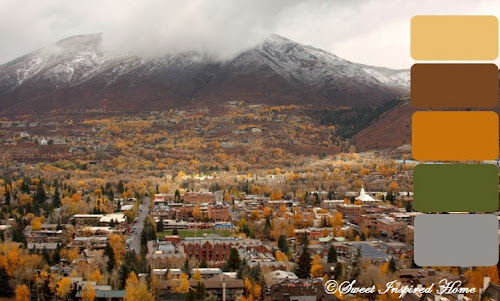 Just wanted to let you know that I posted a link to your blog on my recent posting. I need to get photoshop! That is great thanks so much for sharing ! 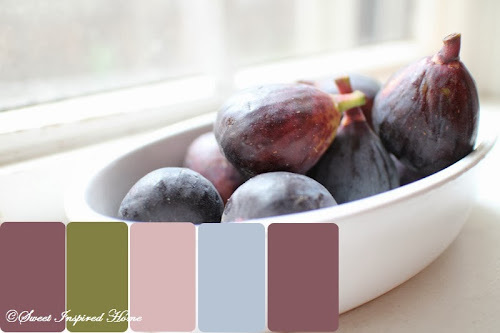 It's a nice way to choose paint colours; the fig shades are lovely. Thanks for the helpful info on color palettes. I use another photo editor, but you make me want to try Photoshop again! Interesting scheme of colours. 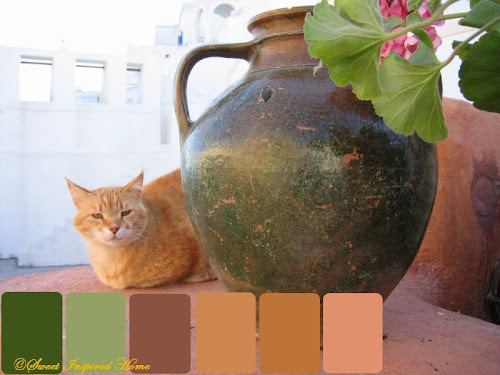 I love all the palettes but my favourite of all is the pot with the cat. Have a good week Khammany. These are so cool and I love that you added the instructions! I really need to learn photoshop! That is so awesome. I don't have photoshop but now I wish I did! You explained it well! Hugs! that's a great idea ... wish I had photoshop !! have a lovely autumn weekend ! Such a beautiful post and wonderful idea! You have a wonderful blog! Fun!!! You are a lot more advanced than me!